Which marketing partners bring me sales? Where do my customers come from? How should my marketing budget be allocated? He, who masters the analysis and automation of his activities, wins the game. 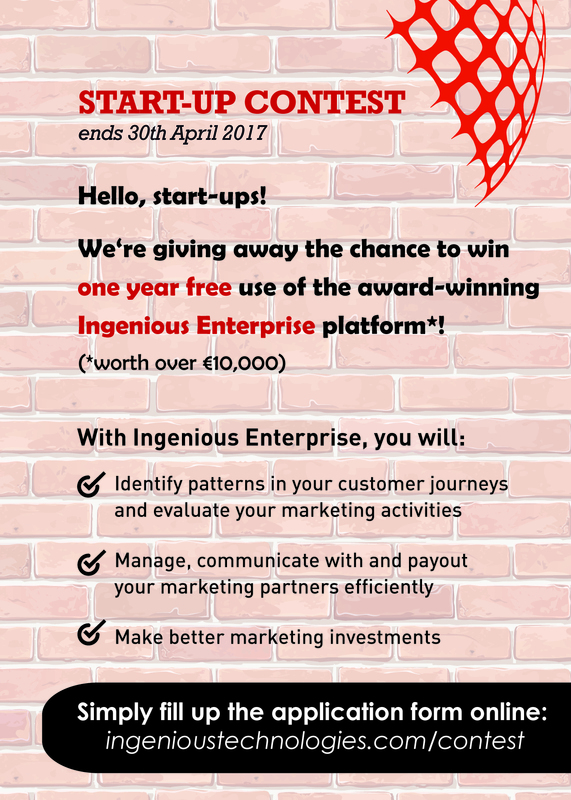 The marketing technology provider Ingenious Technologies is launching a start-up contest for the second time, with a prize worth over €10,000 up for grabs. This contest is open to all young companies, who wish to build and expand their online business through the use of Ingenious Enterprise. This award-winning technology empowers businesses to track strictly compliant with data protection laws, establish and manage their own partner network, as well as analyse and automate their marketing processes. Last year, the Berlin-based technology company organised this contest for the first time, with the aim of giving innovative founders the chance to build up their business with the support of soild, scalable technology. At that time, the young Estonian company Weps won free use of the marketing technology Ingenious Enterprise for 12 months. Weps offers a modular system to help companies design websites. The innovative company developed an intelligent chatbot that guides customers with simple questions to build and individualise their desired websites. With the new contest, Ingenious Technologies offers young, ambitious companies the opportunity to professionally expand their business through the use of an innovative solution. Ingenious Technologies AG (www.ingenioustechnologies.com) is an independent technology provider for Business Analytics and Marketing Automation, with its headquarters in Berlin. Launched in 2012 by experienced online marketing experts from Technology, Marketing and Sales, the company focuses on the development and marketing of innovative, scalable technology for performance-based, branding-oriented online marketing and e-commerce. The one-product solution “Ingenious Enterprise” is developed to help advertisers, agencies and affiliates to monitor, analyze, optimize and process all their online marketing activities and partnerships across all channels and devices via a single platform. The solution meets all requirements of multi-channel tracking, affiliate software, private network and platform rating, billing, accounting and payment. With its dedicated support team, Ingenious Technologies also looks after its renowned customers from the retail, financial, as well as travel and telecommunications sector. 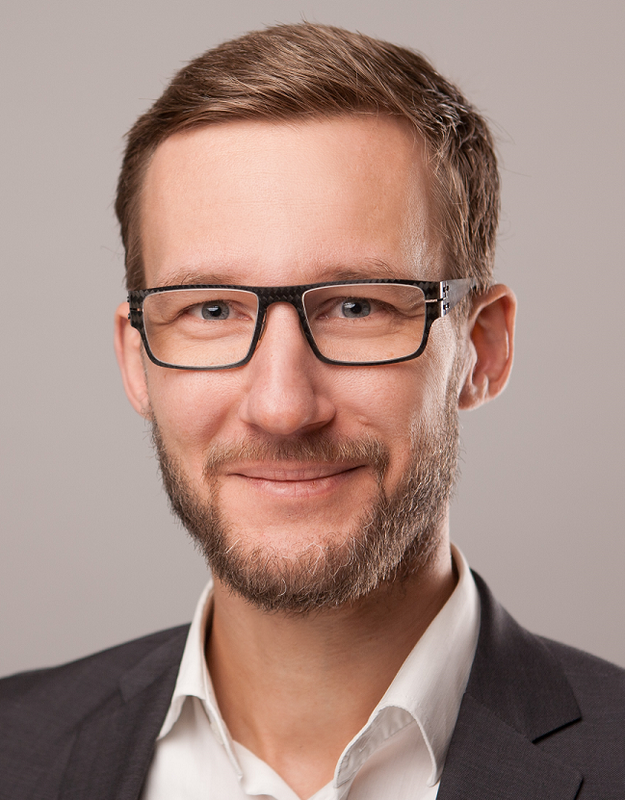 Christian Kleinsorge (CEO) and Eugen Becker (CTO) are continuously developing and improving the sales as well as the technology business in order to expand its position as leading innovator. The in-house research and development department ensures the innovative capacity of the company. Apart from its headquarters in Berlin, Ingenious Technologies has subsidiaries in Szczecin, Madrid and Vienna.